I naturally have very short nails, I have never been able to grow them very long so I have to work with what I have and try to make them look pretty! When working with essence on my recent collaboration I was given a little bundle of cosmetics to try out/freshen up with in my hotel room. I had false nails on at the time so brought home the essence cosmetics jewelry nail stickers and since using them I have fallen in love. I was also happy to discover that they are sold in the UK at Wilkos! 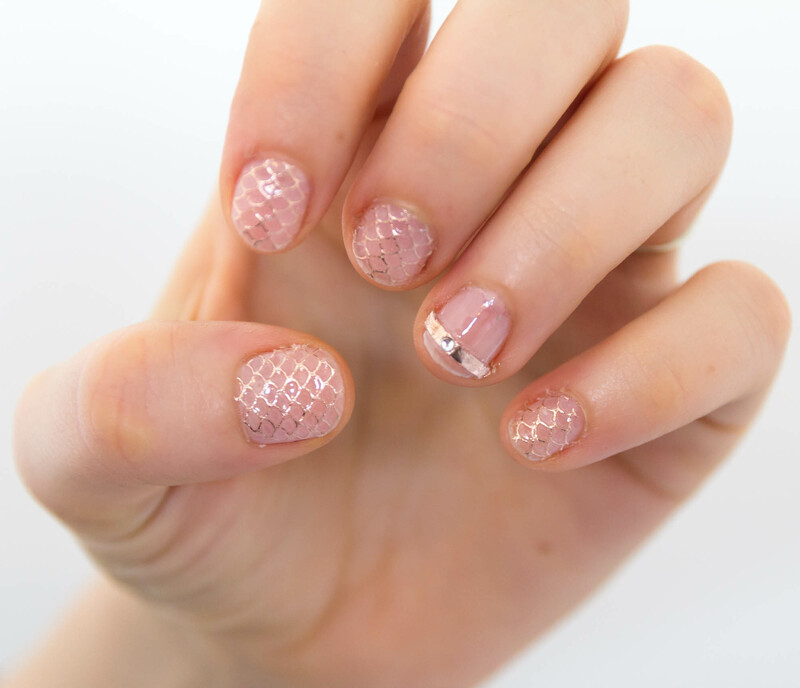 The essence cosmetics jewelry nail stickers are a pretty rose gold tone with a mermaid tail, scalloped design. In the packet are enough for a whole set of 10 nails or you could use it for the odd accent nail. In the UK they are only £1.30 so no guilt if you use them all in one go! 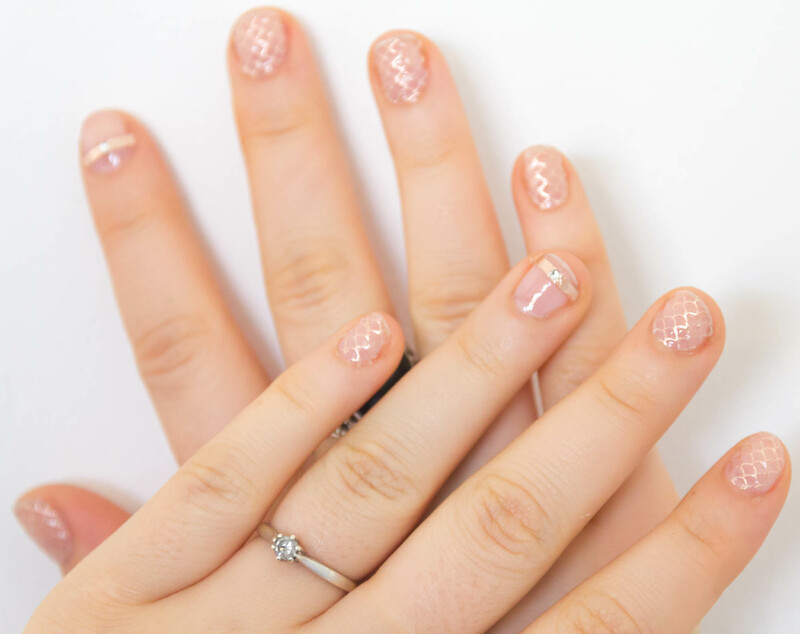 The essence cosmetics jewelry nail stickers look so delicate and pretty on my short nails, and I love the diamonte band to use as an accent nail. 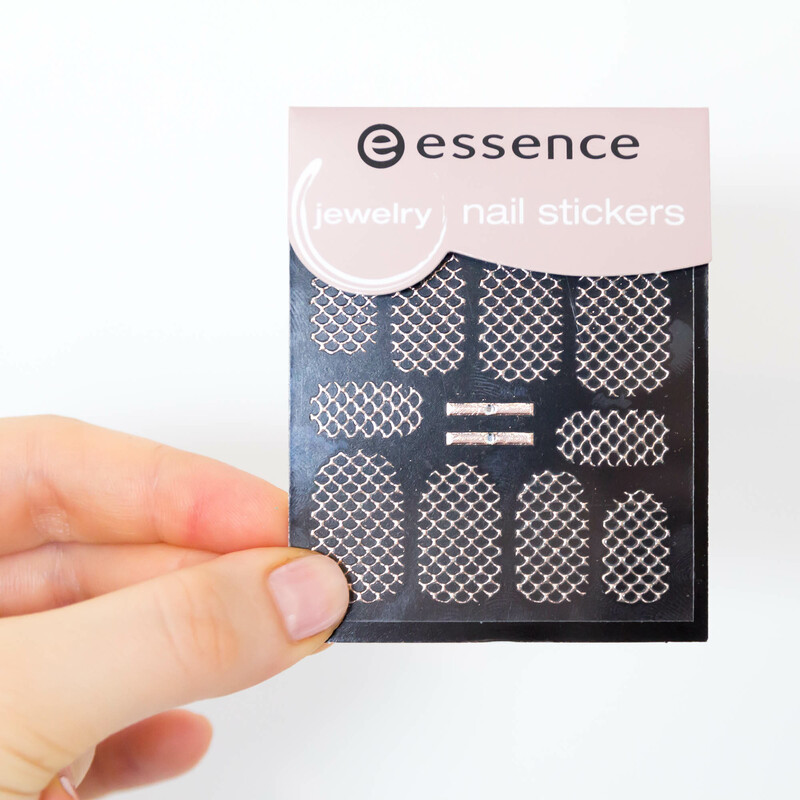 The essence cosmetics jewelry nail stickers are very easy to apply, they held really well and my nails lasted a good 5 days – which is a long time for me! The polish underneath is the The Body Shop colour crush nail colours in shade 350 British Rose and I also used the Seche Vite dry fast top coat. I was so happy with the result, it looked very chic and took seconds to do. I was so impressed with the quality of the essence cosmetics jewelry nail stickers and I have seen that there is a whole range of essence cosmetics nail stickers sold at Wilkos. There are so many different designs – neon, metallic, vintage, gems, pretty, bling, tribe I cannot wait to give them a go!